Chiropractor | Dr. Cameron Hatam, D.C.
Meet Dr. Cameron Hatam, D.C.
Dr. Cameron Hatam D.C. is a talented and skillful chiropractor at Virginia Family Chiropractic, with convenient locations in Alexandria, Manassas, Falls Church, and Woodbridge, Virginia. 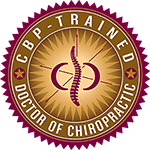 He specializes in Chiropractic BioPhysics (CBP) and provides a variety of innovative chiropractic treatments to patients including treatments to address pain in the upper and lower back, the neck, knees, shoulders, and hips. He is also accomplished in the field of treating whiplash injuries. He is also certified in dry needling treatments and the Graston technique. Dr. Hatam attended George Mason University. At GMU he had the pleasure of meeting many new people of all sorts of backgrounds and cultures. He then went on to Palmer College of Chiropractic Florida campus where he received his doctorate in chiropractic and is currently licensed in the state of Virginia. He enjoys both the clinical aspect of chiropractic as well as running a good business model. Dr. Cameron Hatam is also a member of the American Chiropractic Association and the Virginia Chiropractic Association. Dr. Hatam loves to help people in whatever way he can. He practices a different form of chiropractic. He does not just adjust people and send them on their way. He educates them on the importance of having a healthy spine and incorporates structural rehabilitation to address the problem at its source. When patients are better informed about their bodies, how they work and how they should feel when properly aligned, they are better able to begin making healthier lifestyle choices. Dr. Hatam feels honored when patients choose to go on a journey of health and well-being, allowing him to be their guide to a pain free and healthy state of existence. He truly enjoys helping people achieve maximum health potential. He enjoys connecting patients to their most inner well-being and helping them achieve ultimate health. Dr. Hatam and his colleagues at Virginia Family Chiropractic look forward to welcoming new patients and building lasting relationships for improved wellbeing. Schedule An Appointment with Dr. Cameron Hatam, D.C.